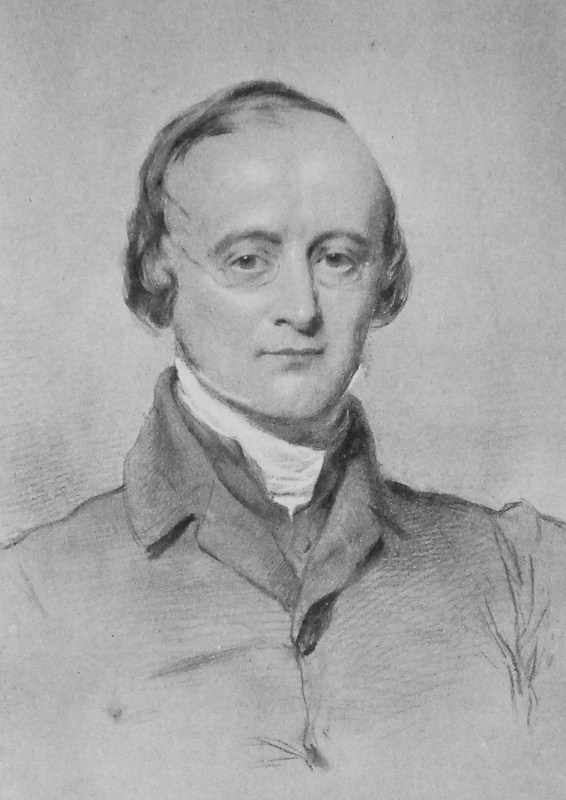 WILLIAM MASKELL. From a portrait by Richmond, in the possession of Mr. Alfred Maskell. Although a description of his writings makes dry reading today, it’s easy to see their appeal to the scholarly side of Hawker’s nature. At first glance it’s not apparent what else the two men might have had in common, but a search of the web reveals Maskell as a complex and interesting character. Details of his early life are elusive; according to the Dictionary of National Biography he was born circa 1814 and was the only son of a solicitor in Shepton Mallet, Somerset. He attended University College, Oxford, took Holy Orders, and ‘was instituted to the rectory of Corscombe, Dorset, and devoted himself to learned researches into the history of Anglican ritual and cognate matters’. In 1847 he moved to St Mary Church, Torquay, where he acted as domestic chaplain to the Bishop of Exeter, Henry Phillpotts, and was involved in the Gorham Controversy. In his mid-thirties he resigned his living and was received into the church of Rome. He retired to Bude to live the life of a country gentleman and antiquary, making his home in the Castle and taking an interest in the life of the village. The DNB’s description of him as ‘A man of considerable literary and conversational powers’ suggests that Hawker would have found him a very congenial neighbour. To-day another start. I was sitting in the smoking room with Inge the Kilkhampton Curate when a dark man in a wide-rimmed hat came down the path, rung and sent in his card ‘The Bishop of London.’ So I was fairly caught. Four or Five daughters came with him. He apologized for not having paid his respects to me before, &c &c. They stayed two hours saw the Church and went away apparently pleased. I had had two invitations to meet him at Dinner . . . and refused them both. Maskell was a member of the Burlington Fine Arts Club and his domestic arrangements at Bude Castle were far from austere. They included a private chapel and a collection of rare and beautiful items now in the British Museum. The exhibition ‘Treasures of Heaven: saints, relics and devotion in medieval Europe’ (2011) included a number of objects acquired from Maskell during his lifetime and if, as seems likely, he showed his finds to Hawker then the latter must have derived great enjoyment from viewing such outstanding examples of ecclesiastical history. William Maskell married twice and had a son, Stuart Eaton Maskell, by his first wife. At some time during his friendship with Hawker he moved from Bude to Penzance but the two continued to correspond. Maskell was one of Hawker’s many defenders after the publication in 1876 of Sabine Baring-Gould’s controversial and inaccurate biography, and in his review for the Athenaeum he criticised Baring-Gould for his ‘reckless repetition of silly gossip’. His description of the revised version and its minimal improvements as ‘a disgrace to English biographical literature’ deserves to be better remembered. In The Life and Letters, C. E. Byles makes use of a number of quotes from William Maskell in order to illustrate aspects of Hawker’s life and character. A selection is included below.